that is well suited for the F-35 270 VDC Ground Power Unit. 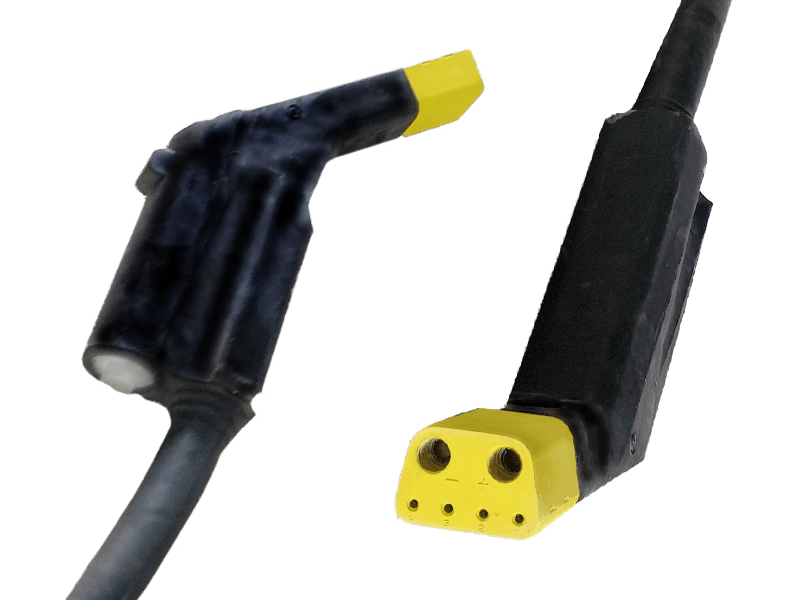 The 270 VDC single-jacketed quality cable from ITW GSE, with replaceable contact section (nose), provides the optimum in GPU cable performance. 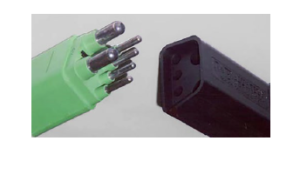 The cable assembly is further ETL listed to UL standards. The replacement contact section can be removed and replaced in approximately 3-5 minutes only thus minimizing the "out of service time". For safety and unsurpassed protection to the aircraft, the replacement contact section is also available with a Thermgard® thermal sensor. Capacitors integrated into the cable head help maintain the interlock voltage through high transients and up to 250% overloads up to 180 ft. This Low Induction quality Power Cable is well suited for the ITW GSE 2400, 270 VDC GPU. The replacement contact section can be removed and replaced in approximately 3-5 minutes minimizing out of service time. The replacement contact section is also available with a Thermgard thermal sensor for safety and unsurpassed protection to the aircraft. Capacitors integrated into the cable head help maintain interlock voltage through high transients and up to 250% overloads up to 180 ft. Meets the Lockheed Martin Specifications 5PTV6002 Rev C and 2ZEU00004 Rev-0007. Recommend up to 40 ft. for F-35 application.